Samco Coolant Hose Kit for the R55 R56 R57 R58 R59 MINI Cooper S. This coolant hose kit replaces the stock rubber cooling hoses on your MINI. 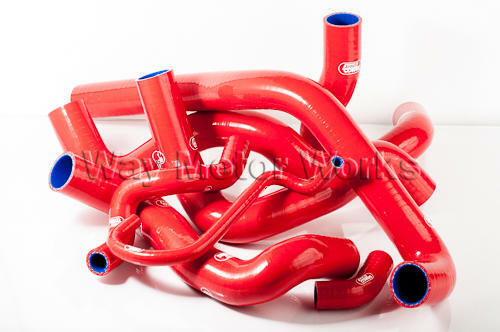 Made of silicone to be durable and add style to your engine bay. This only fits MINI Cooper S Turbo with N14 engines, will not work on N18 engine. Available in blue, red, or black.